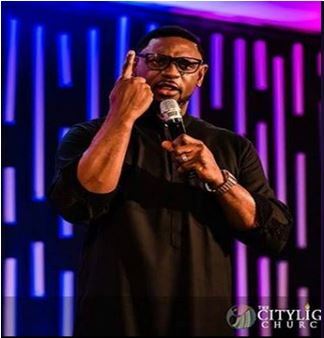 In a viral video which surface online, showing popular Nigerian Pastor Biodun Fatoyinbo saying If God tell me seed does not work, I will disobey him. The video caught attention of OAP Daddy Freeze who added his own to the video. Am I hearing right??? Is Biodun Fatoyinbo implying that he knows more than God??? How can you gather people in the name of God then tell these same people that if that same God tells you something, you will ignore it??? All these packaging Gucci pastors. Celeb that endorse this are part of our problem. Is Biodun Fatoyinbo implying that he knows more than God? How can you gather people in the name of God, then tell these same people that if that same God tells you something, you will ignore it?